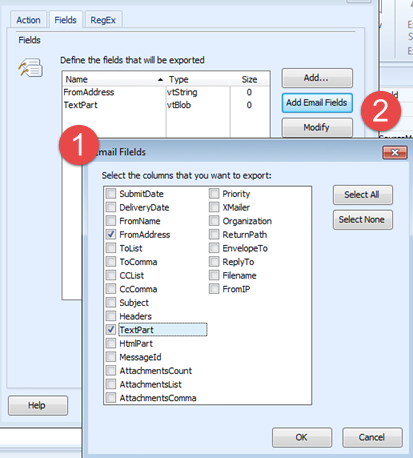 ');	$("#category-211 h3").prepend(' '); //getting started $("#category-25 h3").prepend(' '); //faq: features $("#category-56 h3").prepend(' '); //documentation $("#category-64 h3").prepend(' '); //tutorials $("#category-59 h3").prepend(' '); //troubleshooting $("#category-251 h3").prepend(' '); //community $("#category-12 h3").prepend(' '); //faq: licensing and purchasing $("#category-203 h3").prepend(' '); //email migration $("#category-204 h3").prepend(' '); //email export $("#category-205 h3").prepend(' '); //email conversion //$("
MailtoX Desktop allows you to parse and export the content of the email message. 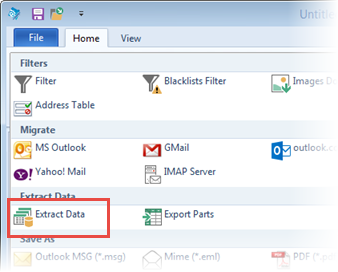 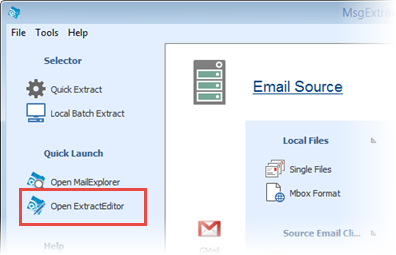 In this tutorial, we will parse data from Gmail and export it to Excel. 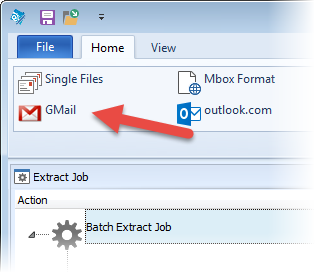 The Gmail dialog allows you to select the folders that you want to process. 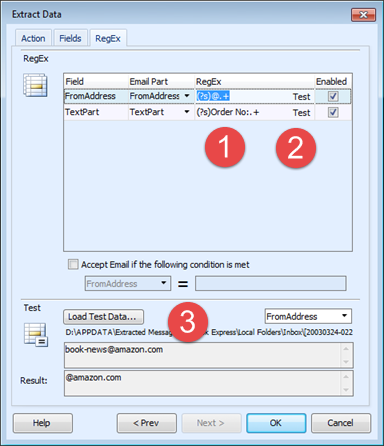 Click on (3) "Load Test Data" to open an email and load data that will help you to verify your regular expressions with real data. 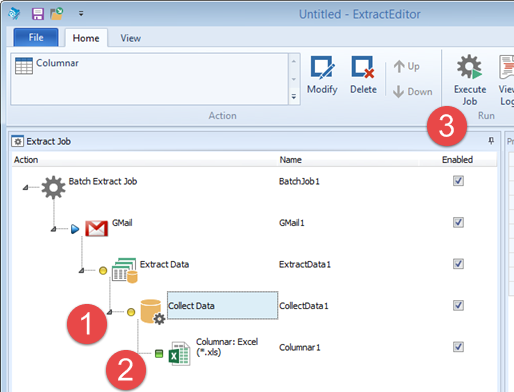 When you press on "Execute Job" (3) the data will be exported to the defined excel sheet.